Things started well for Maurizio Sarri at Stamford Bridge this season, with Chelsea going undefeated in their first 12 Premier League fixtures. Eden Hazard was looking like one of the best players in the world, and the so-called 'Sarri ball' was having an immediate positive impact. Ever since that first defeat against Tottenham on November 24th, Chelsea's season has slowly started to drift. A number of disappointing recent performances (which saw Sarri publicly criticise his players) was capped off by an embarrassing 4-0 defeat at Bournemouth, their season could well be at breaking point. With the television cameras eagerly awaiting to hear from Sarri after the defeat last night, the Italian stayed in the dressing room for a munch longer period of time than normal after the final whistle. Now we have a clearer idea what was said in that room. The Telegraph are reporting that a number of his players, most notably Eden Hazard, were criticised for failing to follow basic instructions given to them. Sarri accused the Belgian of playing however he wanted to on the pitch, not in the way set out by the manager. We haven’t even learned the most basic moves yet. We need to work on the basics, the primary foundations of my football, and only then will we try to change a few things. Meanwhile, there is a feeling inside the dressing room that Sarri's dependance on midfielder Jorginho is hampering the team's progress. The Italian was Sarri's main summer signing, with the manager believing he is the key to playing the game in the way he prefers. His methods seem to have been largely found out by Premier League opponents, however, and Jorginho is not making the impact he would have expected. The Chelsea squad seems to be performing poorly on a frequent basis in recent weeks, and their belief in their manager seems to be waning. We have seen similar scenarios manifest themselves at Stamford Bridge in recent years, with the player downing tools under both Jose Mourinho and Antonio Conte. 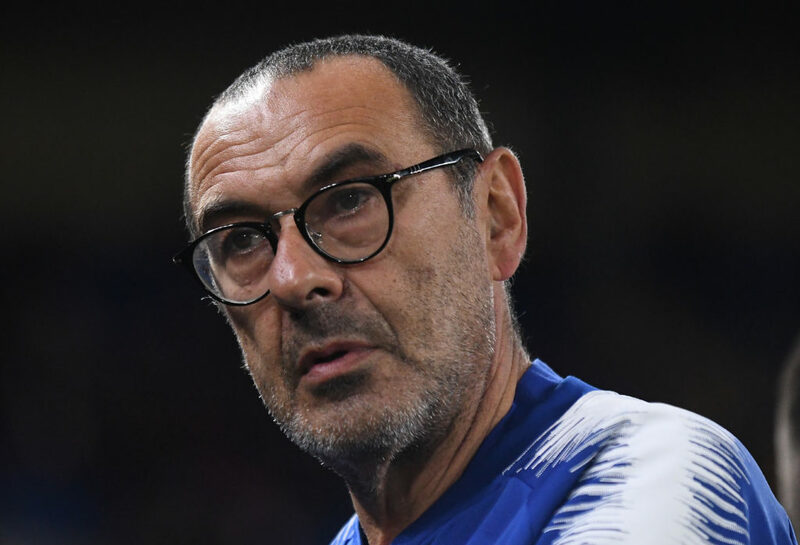 Should Sarri fail to turn around the fortunes of the team in a rapid fashion, he will likely go the way of his predecessors and leave the club in acrimonious circumstances.